Досліджено сучасний стан виробництва основних видів сільськогосподарської продукції в Україні. Проведено динаміку виробництва валової продукції в цілому, а також основних видів продукції тваринництва і рослинництва. Розкрито загальні тенденції розвитку виробництва продукції рослинництва та їх аналіз за різними секторами. В галузі тваринництва розкрито стан кожної з підгалузей (скотарство, птахівництво, свинарство) та визначено вплив на них різноманітних факторів внутрішнього і зовнішнього середовища. Встановлено, що найбільш проблемним сегментом нині залишається виробництво продукції галузі скотарства, яке є низькоефективним і сконцентроване в господарствах приватного сектора. Визначено, що досягнення аграрного сектору в цілому є позитивними та його ресурсний потенціал дозволяє нарощувати виробництво сільськогосподарської продукції, водночас є багато системних перешкод в його розвитку. Окреслено основні організаційно-економічних заходів спрямовані на їх подолання за сучасних умов господарювання. Ключові слова: валова продукція; сільське господарство; виробництво; сільськогосподарська продукція. 1. Вініченко І.І. Ключові чинники впливу на конкурентоспроможність аграрних підприємств / І.І. Вініченко, Ж.В. Крючкова // Економіка і держава. 2017. — № 4. — С. 32—37. 2. Власенко І. Стан виробництва і споживання м'яса в Україні / І. Власенко, В. Власенко, Г. Лояніч // Товари і ринки. — 2016. — №2. — С. 21—29. 5. Масляєва О.О. Визначення чинників, які впливають на економічну стійкість підприємств / О.О. Масляєва, М.Д. Гіда // Науковий вісник Херсонського державного університету. — Серія Економічні науки. — Херсон, 2016. — Вип. 21. Ч. 2 — С. 65—68. 7. Сільське господарство України: Статистичний збірник / За ред. О.М. Прокопенко. — К.: Держстат України, 2018. — 249 с. 8. Українська модель аграрного розвитку та її соціоекономічна переорієнтація: наук. доп. / [О.М. Бородіна, В.М. Геєць, А.О. Гуторов та ін. ]; за ред. В.М. Гейця, О.М. Бородіної, І.В. Прокопи; НАН України, Ін-т екон. та прогнозув. — К., 2012. — 56 с. The present state of production of basic types of agricultural products in Ukraine is investigated. The dynamics of production of gross production as a whole, as well as the main types of products of livestock and crop production is conducted. The country's agrarian sector has shown positive dynamics in gross production in recent years, with a clear tendency towards its growth. The general tendencies of development of production of crop production and their analysis on various sectors (economy of the population, agrarian enterprises) are revealed. It was established that the general tendency of the development of this industry was the concentration of agrarian production and a direct correlation between the size of crops and their productivity. In the field of livestock breeding, the state of each of the sub-sectors (cattle breeding, poultry farming, pig farming) and the determined influence on them of various factors of the internal and external environment are revealed. It has been established that the most problematic segment now remains the production of livestock industry, which is low efficient and concentrated in private sector farms. The analysis of the livestock sector by sectors (households, agrarian enterprises) was conducted. It is determined that the achievements of the agricultural sector as a whole are positive and its resource potential allows to increase the production of agricultural products, but the situation that has developed in the production of agricultural products is not able to make revolutionary qualitative changes in its development, to ensure the solution of socio-economic problems of the village, to realize fully the available natural resource potential of the industry. The problem is caused by sectoral imbalances in agriculture, ineffective use of resource potential, lack of financial resources, non-conformity of production with European standards, etc. The main organizational and economic measures aimed at their overcoming in modern economic conditions are outlined, namely: promotion of exchange trade, stimulation of attraction of domestic and foreign investments, state support to export-oriented agricultural producers. Keywords: gross output; agriculture; production; agricultural products. 1. Vinichenko, I.I. and Kriuchkova, Zh.V. (2017), "Key factors influencing the competitiveness of agrarian enterprises", Ekonomika ta derzhava, vol. 4, pp. 32—37. 2. Vlasenko, I. Vlasenko, I.V and Loianich, H. (2016), "State of production and consumption of meat in Ukraine", Tovary i rynky, vol. 2, pp. 21—29. 3. Honcharenko, O. V. (2014), "Institutional environment of innovative development of agro-industrial production", Efektyvna ekonomika, [Online], vol. 5, available at: http://www.economy.nayka.com.ua (Accessed 10 Nov 2018). 4. Kadyrus, I.H. (2014), "Competitiveness of the enterprise and factors influencing it", Efektyvna ekonomika, [Online], vol. 5, available at: http://www.economy.nayka.com.ua (Accessed 9 Nov 2018). 5. Masliaieva, O.O. and Hida, M.D. (2016), "Determination of factors influencing economic stability of enterprises", Naukovyj visnyk Khersons'koho derzhavnoho universytetu, Seriia Ekonomichni nauky, vol. 21, no. 2, pp. 65—68. 6. Rusan, V.M. 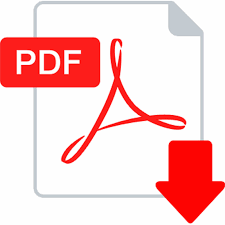 (2015), "Problems of development of agrarian production in Ukraine and perspective directions of using the agrarian potential of the state to increase the level of food security", Ekonomika, [Online], vol. 55, available at: http://www.niss.gov.ua/content/articles/files/agrarne_vurobnustvo-07e8a.pdf (Accessed 10 Nov 2018). 7. State Statistics Service of Ukraine (2018), Sil's'ke hospodarstvo Ukrainy [Agriculture of Ukraine 2018. Statistical yearbook], Derzhkomstat, Кyiv, Ukraine. 8. Borodina, O.M. Heiets', V.M. Hutorov, A.O. and Prokopa, I.V. (2012), Ukrains'ka model' ahrarnoho rozvytku ta ii sotsioekonomichna pereoriientatsiia [Ukrainian model of agrarian development and its socioeconomic reorientation], NAN Ukrainy, Instytut ekonomiky ta prohnozuvannia, Kyiv, Ukraine.